Another wonderful online design magazine. Adore is an Australian based magazine chocked full of design tricks and tips. 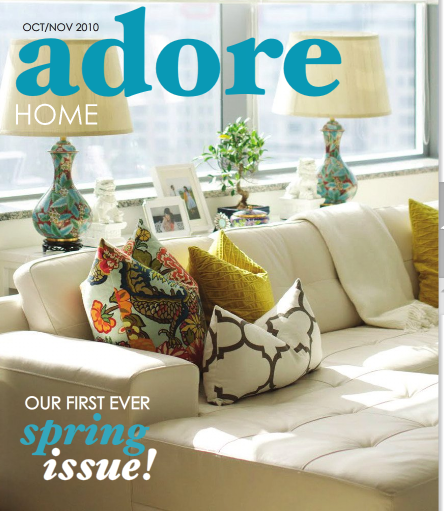 to enjoy and Adore this newest addition to online design magazines. One of the girls was in my sorority in school and is awesome; the other lives here in Charlotte but I've never met her. Their stuff is always fun, at least I think! Thank you, Theckla I will check out her blog!